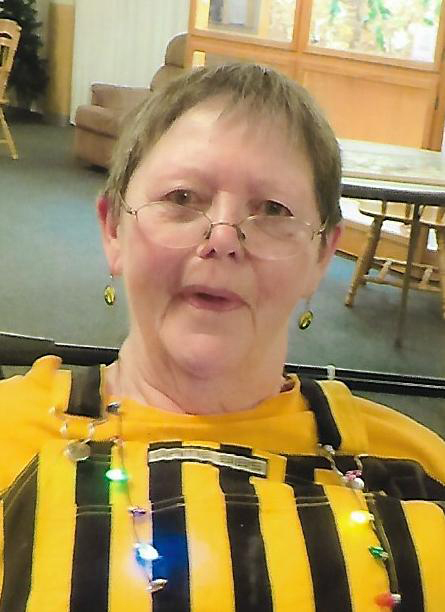 Diane Smith, 75, of Marshalltown, Iowa passed away on March 21, 2019 at Accura Healthcare in Marshalltown with her family at her side. A funeral service will be held on Wednesday, March 27, 2019 at 11:00 A.M. at the Mitchell Family Funeral Home with Bobby Shomo officiating. A visitation will be held from 10:30 up until service time. The family encourages those in attendance to dress in Iowa Hawkeye apparel if they so choose; they were Diane’s favorite team. Memorials for Diane may be directed to the family for later designation. For more information or to send a condolence please visit www.mitchellfh.com or by calling us at (641) 844-1234. Mitchell Family Funeral Home is caring for Diane and her family. Diane Lawrence was born February 11, 1944 in Marshalltown, Iowa to parents Lester and Donna (Clay) Lawrence. She married her first husband Gary Delfs; the two were later divorced. She was then married to Paul Smith whom she also divorced. Diane graduated from Marshalltown High School in the class of 1962. Diane was employed at the Marshalltown Public Library and retired after working there for over 30 years. She was a caregiver to her parents and her brother Dana and a loving mother to her daughter Dinann and son Duane. She spent many years at the care center where she was known for her unique humor and undying love for Elvis and the Iowa Hawkeyes. She was a member of the Lioness Club, Red Hat Ladies club, as well as the First United Methodist Church. In her free time, you might see her enjoying her cross stitching, crossword puzzles, word finds, or jigsaw puzzles. Left to cherish her memory is her daughter Dinann (Michelle) Delfs; sister Marilyn (Ralph) Wentzien; sister-in-law Jan (David) Lawrence; nephews John (Brenda) Wentzien, James (Susan) Wentzien; niece Jane (Kara) Wentzien; and close cousins. In death she rejoins her parents Lester and Donna; brothers David and Dana; son Duane; and many beloved aunts and uncles.